And give the Sabbaths of the wilds the music of her bells"
David Josiah Brewer, 1837–1910. Associate Justice, United States Supreme Court, 1889–1910. Autograph Letter Signed, David J. Brewer / of Kansas, one page, 8" x 10", on stationery of the Supreme Court of the United States, May 28, 1895. 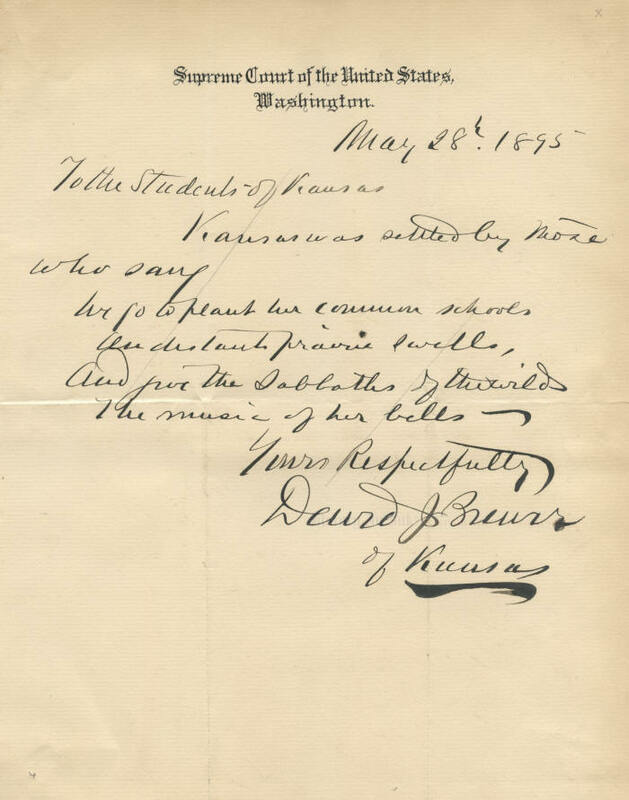 Justice Brewer, a Kansas native, writes a lyrical letter to Kansas students regarding those who settled the state. In full: “To the Students of Kansas / Kansas was settled by those who sang / We go to plant her common schools / On distant prairie swells, / And give the Sabbaths of the wilds / the music of her bells." This letter comes from a large collection assembled by a professor of penmanship at the State Normal School at Emporia, Kansas, now Emporia State University, who had his students write to request a handwritten reminiscence, favorite quotation, or word of advice for inclusion in albums devoted to the handwriting of noted people throughout the United States and in various countries. Brewer served 14 years on the Kansas Supreme Court before President Chester A. Arthur appointed him to what is now the United States Court of Appeals for the Eighth Circuit. A little more than five years later, President Benjamin Harrison appointed him to the Supreme Court to fill the seat vacated by the death of Associate Justice Stanley Matthews. He served until his death in 1910. As a Justice, Brewer was influential. He vigorously defended minority rights, argued for stronger protections for female workers, and argued for the rights of Chinese and Japanese immigrants. He wrote the Courtʼs opinion in Muller v. Oregon, 208 U.S. 412 (1908), which upheld the stateʼs restrictions on working hours for women based on the stateʼs interest in protecting womenʼs health. Brewer has penned and signed this letter in jet black ink. The ink has bled slightly on the last letter of the signature.  The letter has crossing mailing folds and mounting remnants on the back, and it has light toning at the edges and a couple of old collector pencil marks in the upper right and lower left corners. A thin, diagonal pencil line crosses through the text in the upper half of the letter but does not touch Brewerʼs bold signature. Overall the letter is in fine condition.